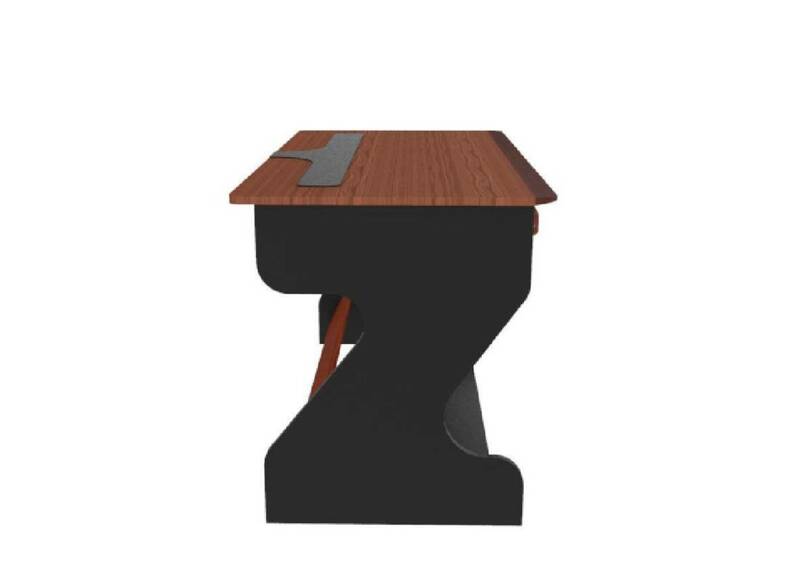 First and foremost the MIZA Jr. is a compact desk for musicians and all professions spending a large part of their work life on a computer. Below the whole width of the tabletop is an extractable level, which offers room for keyboard and mouse, Pads and pens but also drum machines, synthesisers or (MIDI-) controllers as well as DJ-mixers. Depending on the application, the height of that level can be set up from a minimal 5 cm to a comfortable 16 cm of useable space below the top work surface. 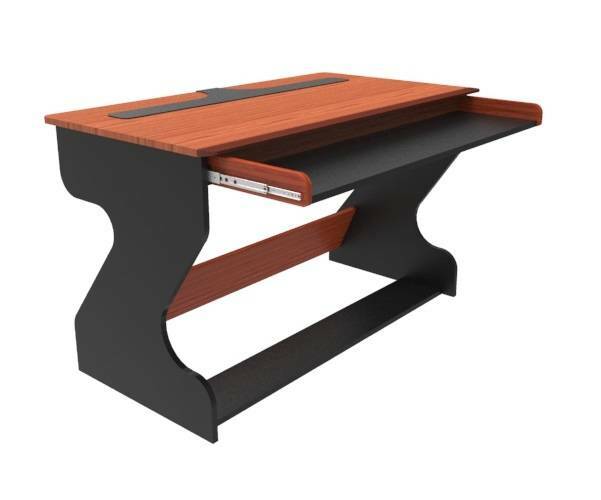 This makes the desk attractive for both a computer programmer or graphic artist as well as a creative music producer or DJ. 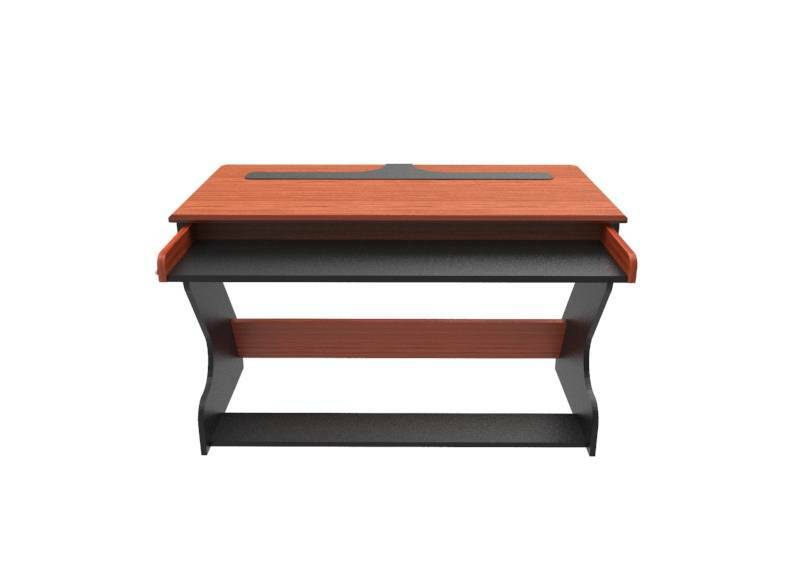 Finish: Available in Black Cherry or Titanium Wenge. The desk more than met my expectations. The table-top came without the opening on top (as showing on the website), but actually my monitors arms fit perfectly on the back part , and actually I think it has saved me way more space on the table. The assemblying is the easiest I've ever seen, and I've been assemblying my furnitures since many years ago, I kind of like doing it on the side (it's my lego). The design, quality and stability are incredible, really awesome product I strongly recommend.